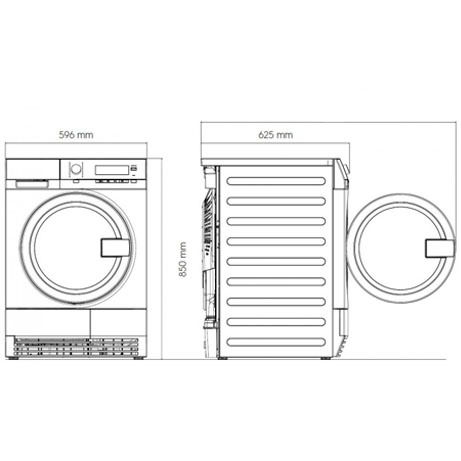 This Electrolux Condenser Dryer (Professional) is the perfect addition to your laundry room, offering efficient, safe and quick drying for chefs white, staff uniforms and bedding. This Electrolux Dryer has 16 professional programs to meet every need – eco, automatic, time-based and airing programs. 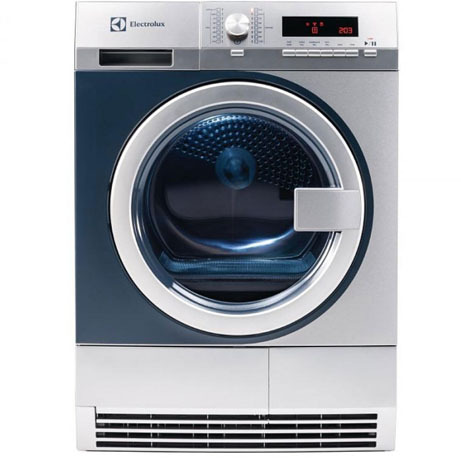 These settings offer greater piece of mind, with a condensed water tank and drain connection for direct discharge, helpings clothes dry faster. ** This machine needs to be Hardwired to a 30amp power supply and cannot simply be plugged in to a standard 13amp supply. 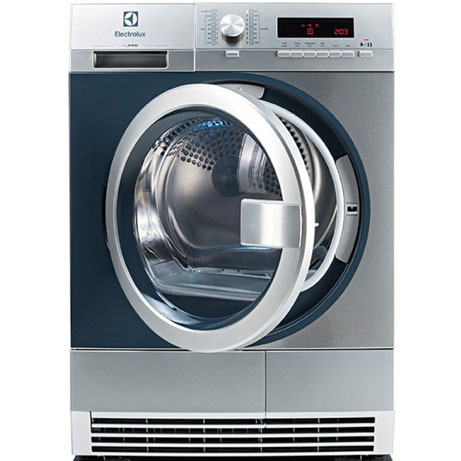 Especially designed for small – medium businesses, this Electrolux Tumble Dryer is perfect for drying any garment, with real-time control of moisture levels inside garments that allows for shorter drying cycles and prevents fibres from over-drying, to help maintain the longevity of clothing and linen.